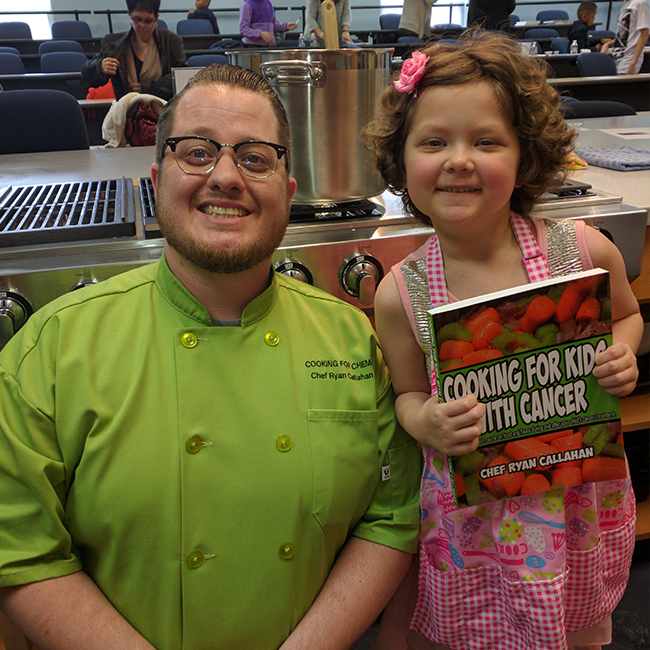 Bring Chef Ryan Callahan's Cooking for Chemo Class to your Cancer Support Organization, or Hospital! Have the award-winning Chef Ryan Callahan live in your city! 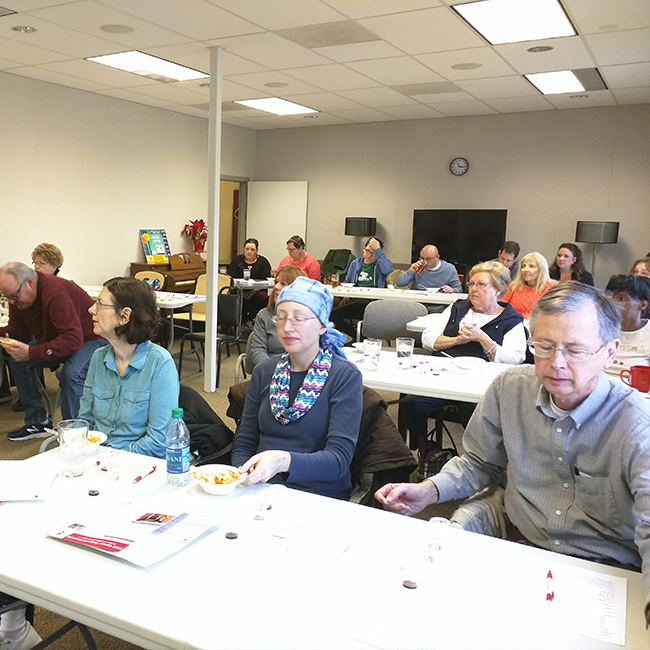 Chef Ryan Callahan teaches a 90 minute interactive class where your patients, staff, caregivers and members of your community learn how to combat the most common eating related side effects like mouth sores, nausea, and loss of appetite. 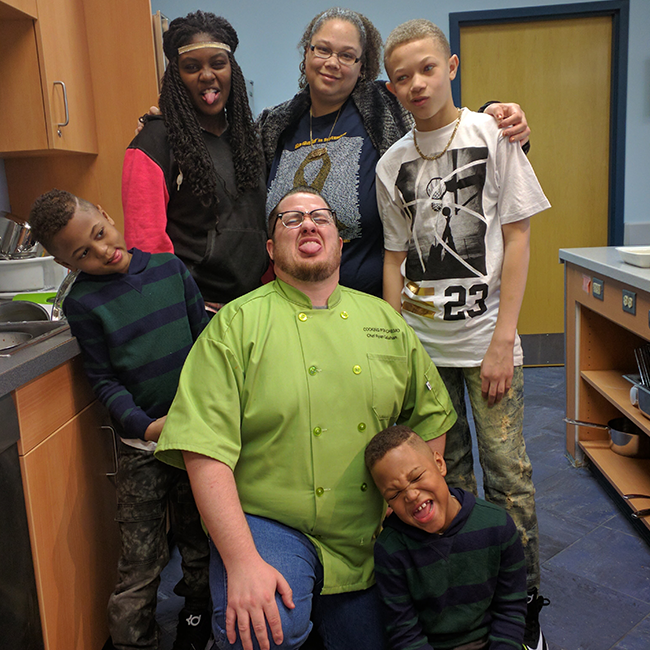 Chef Ryan does this by teaching the cooking techniques that he developed while he was his mother's primary caregiver during her battle with breast cancer. 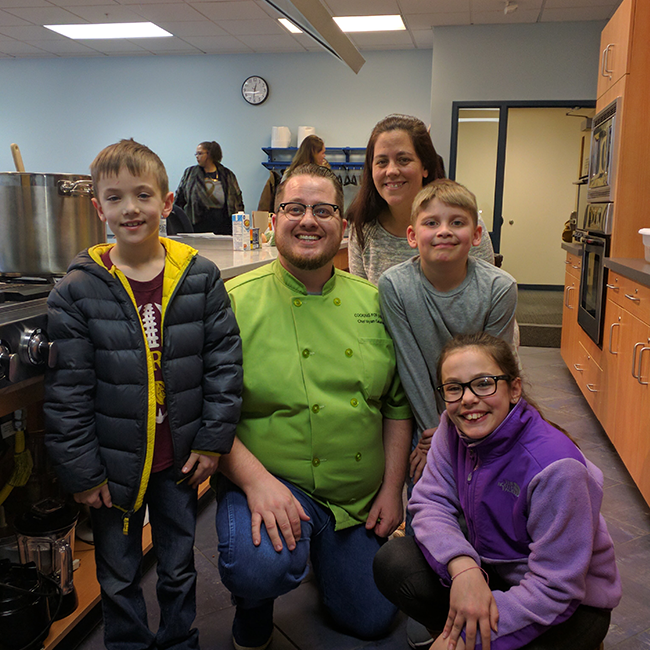 Chef Ryan teaches Roundness of Flavor, Palate Cleansing, how to understand the tasting experience, and practical ways to combat side effects inside of the class. 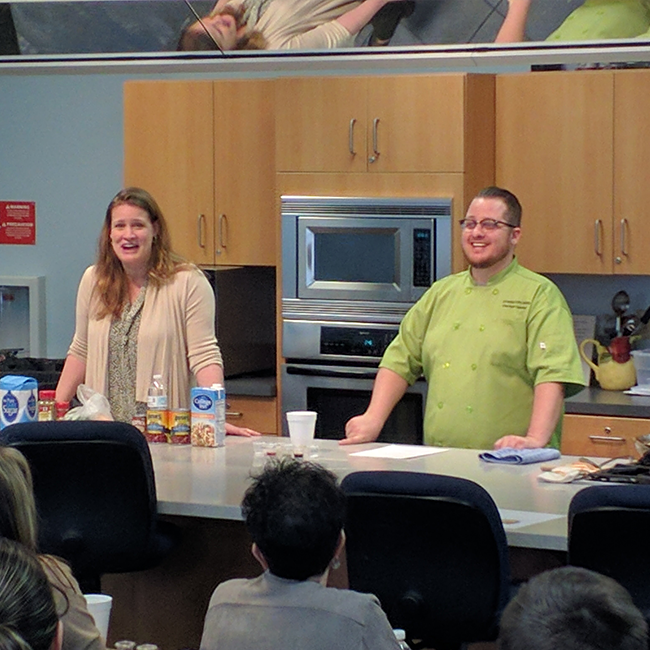 Because this is an educational event, not a cooking class, a kitchen is not needed for the event. The entire presentation can be held in a large meeting room or auditorium. There is no actual cooking during the class. 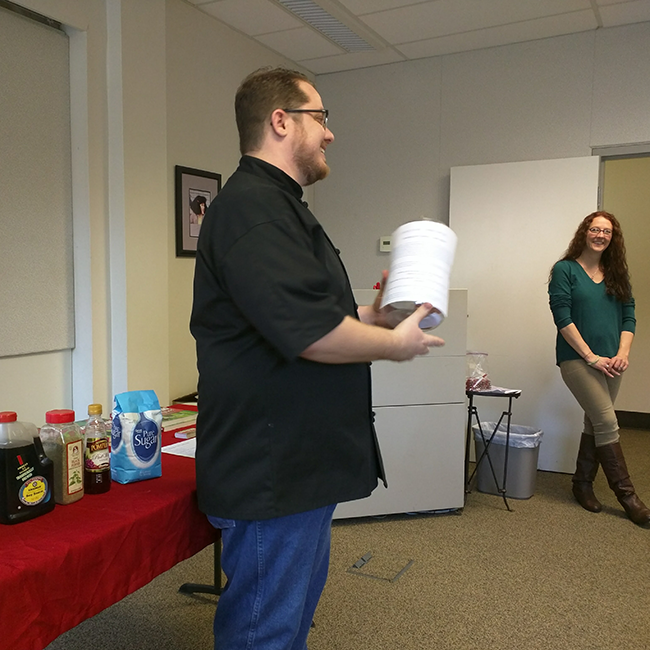 During the class, we taste samples of the five basic flavors (salty, savory, spicy, sour and sweet), and then use these seasonings to flavor broth cups to our own learned preferences. This event is always fun to watch! Please watch the video above for a demonstration of the tasting demonstration. After this we explore the rest of the tasting and eating experience. 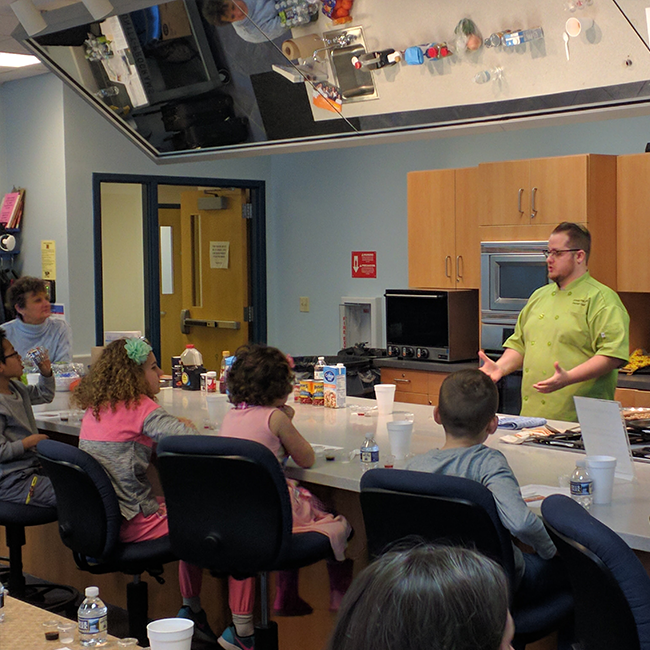 Chef Ryan explains how to use this information to understand the eating experience, and how our perception of flavor changes during cancer treatments. 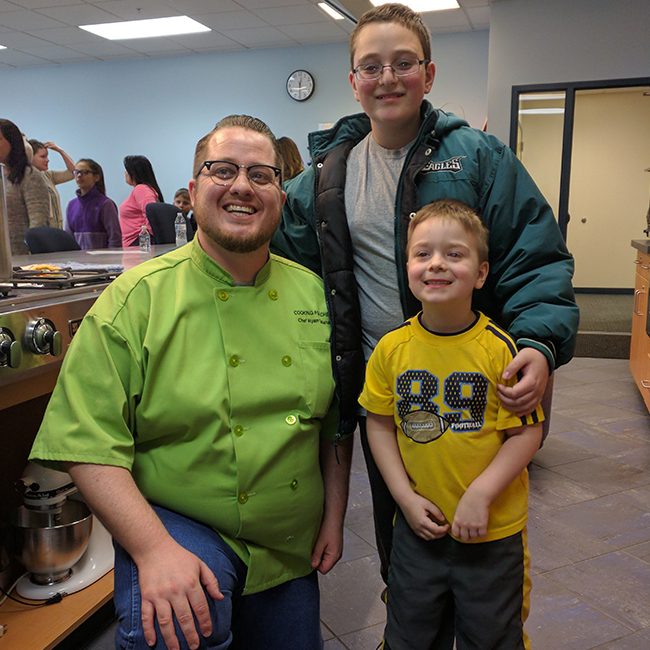 Chef Ryan then concludes the talk with helpful real-world solutions on how to combat the most common eating-related side effects that cancer patients have to face on a daily basis. 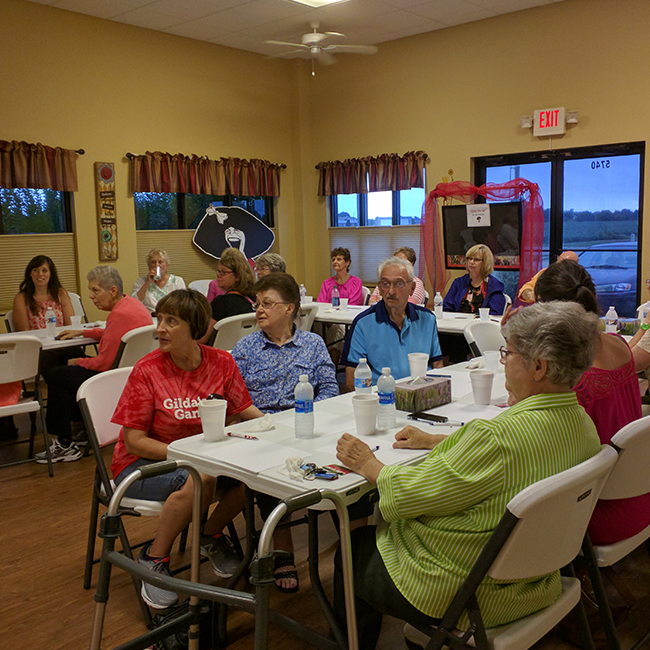 The class is done like this because our mission is to empower people to take control of their life and take back an aspect of their life that cancer normally takes away, which is namely the pleasure of eating. We also encourage you to consider purchasing books for your organization or hospital. 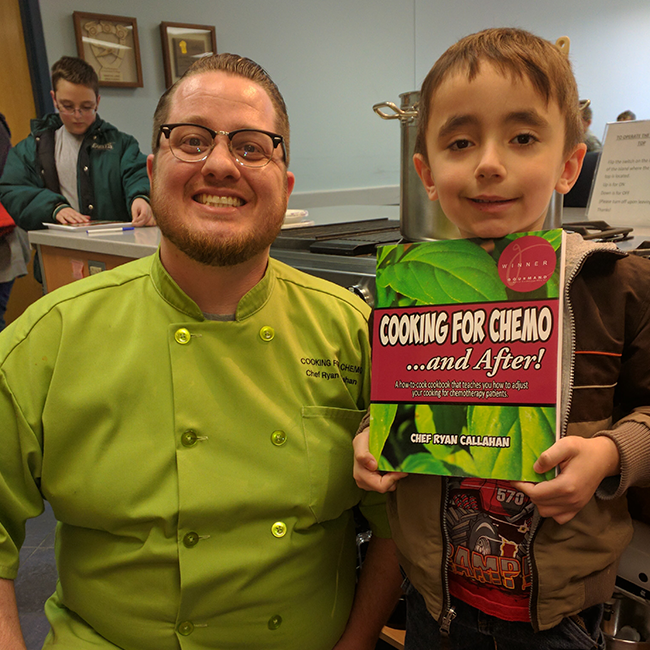 Deaconess hospital in Evansville Indiana provides a copy of Cooking for Chemo... and After to all of their oncology patients free of charge. 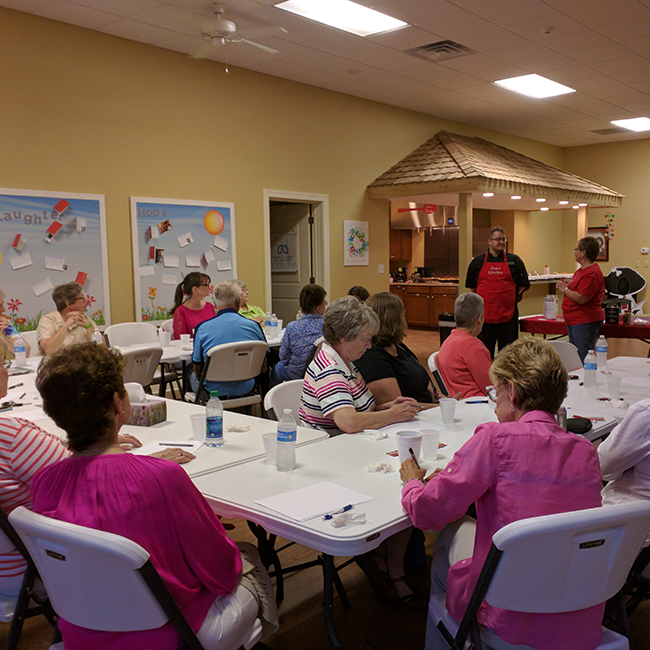 Cooking for Chemo Classes and books also qualify for grant funding, so it is very easy to bring this amazingly helpful resource to your community without having to dip into your own funding. Don't take our word for it! I urge you to reach out to Melanie Atwood, Executive Director of Gilda's Club Evansville at 812-402-8667. 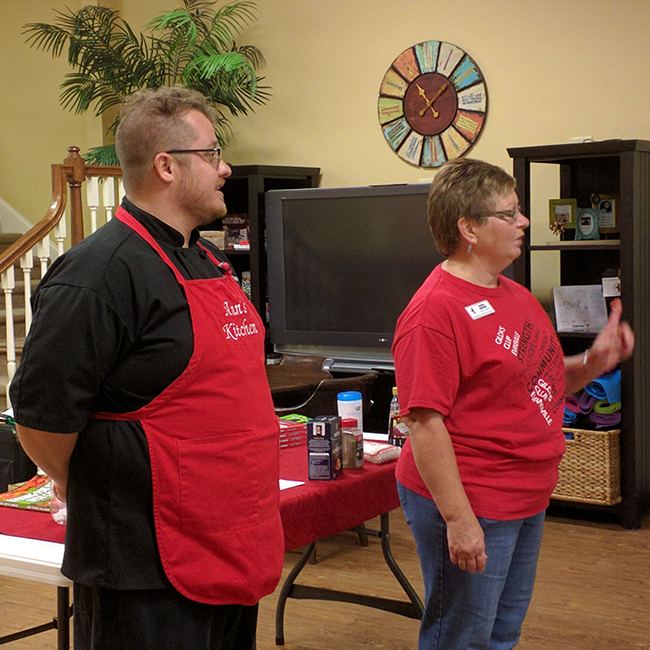 Gilda's Club Evansville often hosts our events, and would love to tell you about her experiences working with Chef Ryan. I also invite you to do a little research on us. Check out our entire website and get a feel for our mission and what we actually do. We provide all of our information online completely for free. I regularly write for Conquer Magazine, Oncolink and IHadCancer.com. 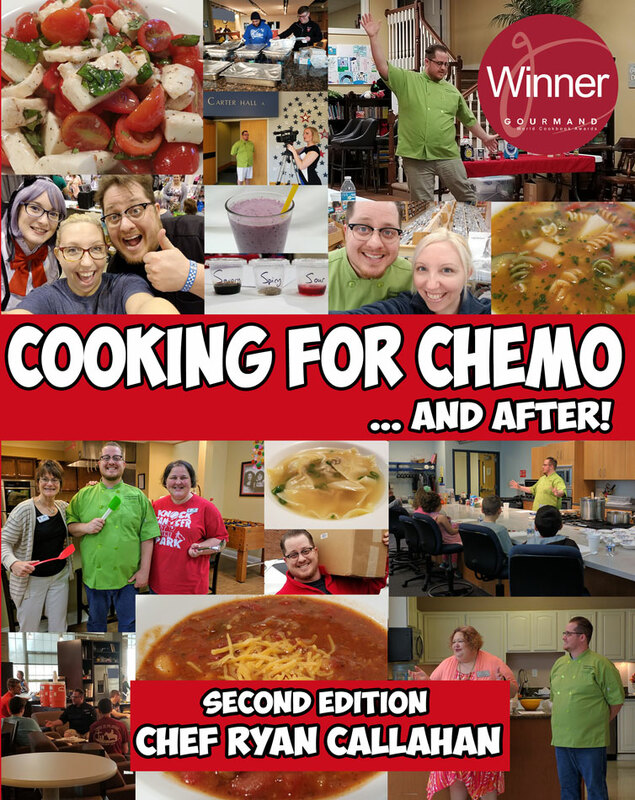 Please put "Cooking for Chemo Class" in the subject line of the email.